Post-apocalyptic vampire-slayers rejoice! The anticipated follow-up to fan favourite STAKE LAND is finally here. With much of the cast and crew returning, the thrilling sequel picks up the action just a few years after the original. 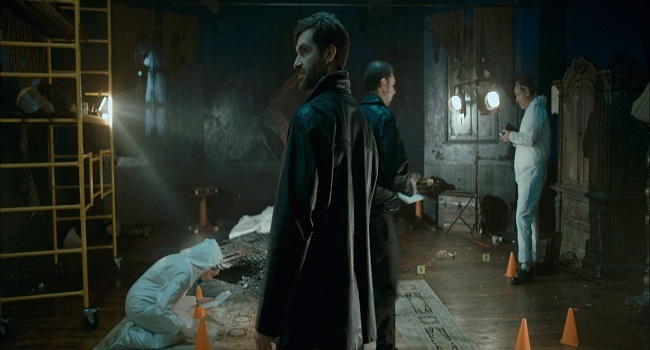 When his home town New Eden is destroyed by a revitalized group of vamps, young Martin tracks down the original vamp-slaying legend Mister (Nick Damici) for help. With the vamp forces growing more powerful, it’s clear a brutal showdown between humans and blood suckers is just on the horizon! 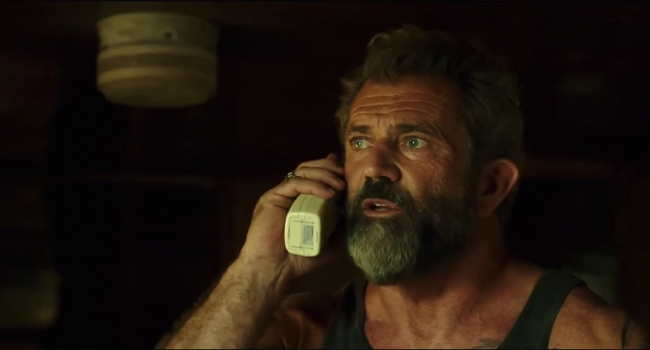 Mel Gibson, the original MAD MAX, makes a fantastic comeback with the Cannes hit crime action thriller BLOOD FATHER! Gibson delivers one of his finest movie performances in years as John Link, a grizzled Tattoo parlour owner on a violent quest to recover his missing daughter Lydia from a local drug cartel. 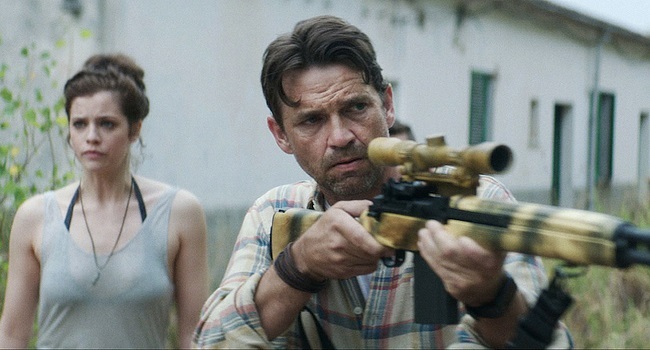 With the assistance of a trailer park buddy (a standout supporting William H Macy) they free Lydia, but in doing so initiate a war with the local gang’s kingpin, a fabulously deranged Diego Luna. Intense shoot-outs, car and motorcycle chases and explosions ensue, as father and daughter engage in a brutal, bloody fight for their survival! 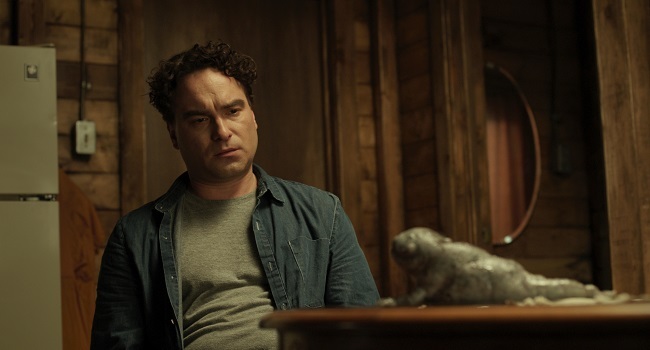 Mixing creepy cute critters with horror (think GREMLINS but much darker), THE MASTER CLEANSE was a hit with fans at this year’s SXSW. Feeling down in the dumps, Paul (BIG BANG THEORY’s Johnny Galecki) decides to take a break from the city by staying at a unique retreat where the eccentric owners (played by the marvellous Angelica Huston and Oliver Platt) promise a body cleanse unlike no other. There, Paul and a fellow retreater (PUSHING DAISIES’ Anna Friel) must confront their little demons both figuratively and literally if they are to survive! A cop movie for Toronto After Dark fans, if LETHAL WEAPON got a Quentin Tarantino makeover you might end up with SXSW hit WAR ON EVERYONE about a pair of antiheroes who violently abuse the law as much as they enforce it. Wise-cracking bad boy detectives Terry (TRUE BLOOD’s Alexander Skarsgard) and Bob (ANT-MAN’s Michael Pena) have become a law unto themselves in New Mexico. In between extorting local criminals, ignoring orders from their Police Chief (Paul Reiser), they also drink excessively, take drugs and party too hard. But things are about to change for our despicable duo: there’s a new Godfather in town, a mysterious Brit, who has diabolical plans for the town, and no two bad cops are going to stand in his way. 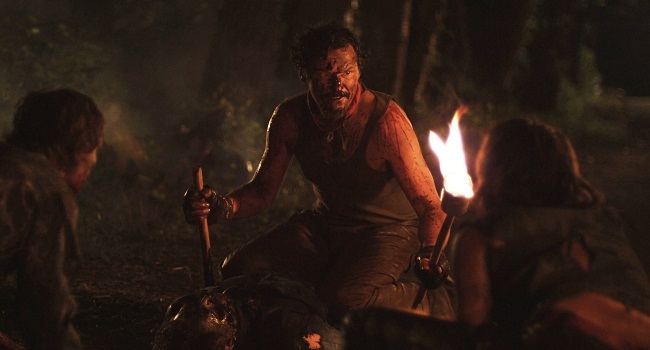 Based on Dan Well’s best selling horror-thriller I AM NOT A SERIAL KILLER was a big hit at SXSW. In-between the stresses of attending a small town high school and helping his mom at her dayjob preparing dead bodies for the local funeral home, young John Cleaver finds himself becoming obsessed with idea of killing people. Daily conversations with an elderly neighbour (BACK TO THE FUTURE’S Christopher Lloyd) seem to keep the teen’s mental state in check. But when a series of gruesome murders shakes the town, John’s obsession with tracking the mysterious serial killer threatens to take the youngster to a dark and disturbing place from which he may never return. Cody Calahan’s (ANTISOCIAL) latest horror chiller will have you creeped out about hearing your inner voice! After getting injured in a road accident, bike courier Helen is informed by hospital staff about a strange growth the’ve discovered in her brain. Soon after being discharged, a sinister female voice begins to fill the young woman’s head, summoning forth an evil side to Helen’s personality that threatens the lives of everyone she loves! A big hit at its recent Fright Fest London debut, FROM A HOUSE ON WILLOW STREET is a crowd-pleasing new supernatural horror thriller from South Africa. Starring fan favourite survivor girl Sharni Vinson (YOU’RE NEXT), three kidnappers get more than they bargained for when they abduct a wealthy businessman’s daughter for one night in order to extract a ransom. It’s not long before they realize that a demonic force has taken possession of her body and has sinister plans of its own for the kidnappers. 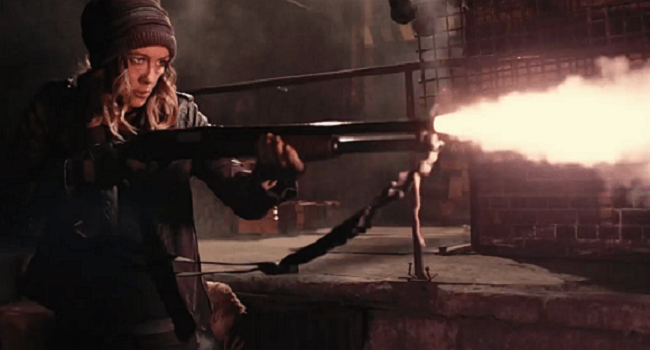 Of course we have to screen the best zombie film of the year at Toronto After Dark’s Zombie Night! 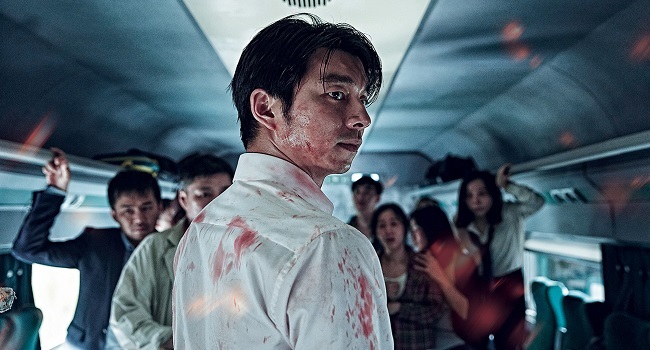 All aboard the TRAIN TO BUSAN as we embark on an incredible undead rollercoaster ride. Look forward to plenty of thrills, kills and dark humour on the journey as our band of passengers tries to survive an outbreak of the walking dead on a speeding train! Don’t miss this possibly final chance to see TRAIN TO BUSAN on the Big Screen, a zombie action film so brilliantly made, it received a standing ovation on its debut at the prestigious Cannes Film Festival! Just when you thought it was safe to sleep, along comes acclaimed cinematographer Jeff Maher (ANTISOCIAL, BITE) to give you nightmares with his bloody directorial debut BED OF THE DEAD! With a nod to A NIGHTMARE ON ELM STREET, a cursed wooden bed unleashes a wave of nighttime terror on four unsuspecting young adults staying in the same seedy hotel. One by one, the bed’s victims are forced to confront their darkest sins or face being punished in a myriad of inventive bloody ways! Dripping with dread, with a chilling score expect to have sleepless nights after staying in BED OF THE DEAD! We open the festival with the the scary Sundance sensation UNDER THE SHADOW, a supernatural tale that’s drawn comparisons with previous festival gem, THE BABADOOK. After her husband leaves to fight in the war with Iraq, an Iranian mother and her young daughter are left to cope by themselves in an increasingly deserted apartment building. It’s soon clear that someone or something else has moved into the building with them, an evil spirit with a sinister agenda of its own that threatens their lives. 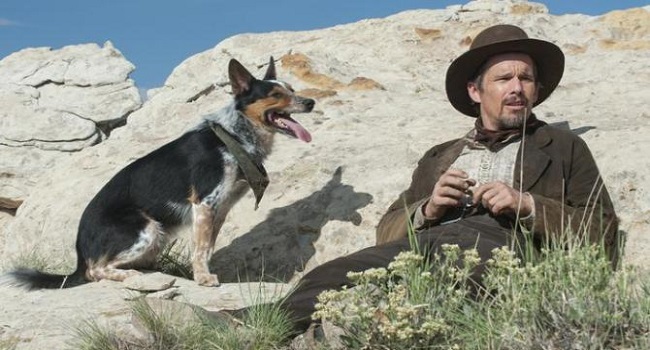 Award-winning horror filmmaker Ti West (THE INNKEEPERS) delivers a bloody Western laced with plenty of dark humour in this Tarantinoesque tale of a lone drifter (Ethan Hawke) who ends up in a duel with a corrupt local sheriff (John Travolta) and his gunslinging posse. 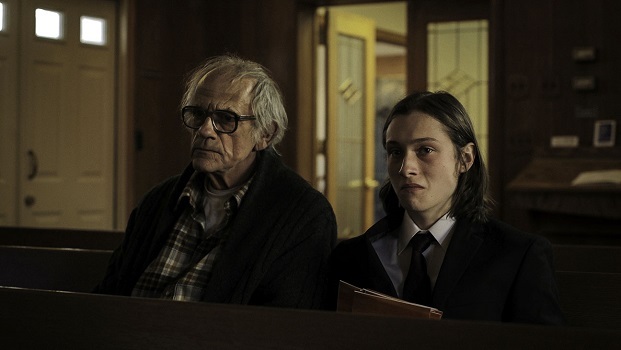 A big hit at SXSW, the fantastic supporting cast includes Taissa Farmiga, Larry Fessenden and Karen Gillan. THE HUNGER GAMES meets BATTLE ROYALE in the latest outrageous masterpiece from legendary Japanese horror icon Takashi Miike (ICHI THE KILLER). A mysterious, powerful entity takes over a high school and forces the teens to play a series of deadly elimination games, from which only a few will survive. Adding to the freakishness: all the death matches involve innocent toys from childhood coming to life and terrorizing the players! 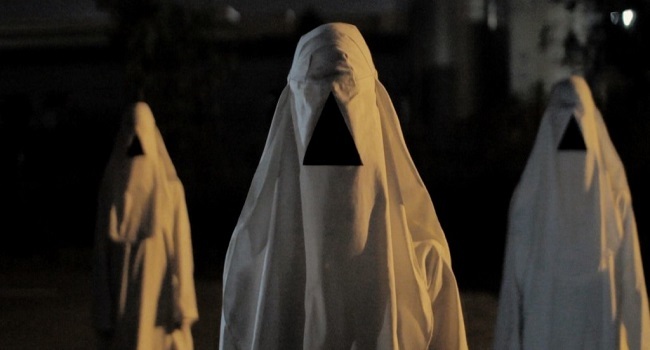 Toronto After Dark 2016 closes with the much-anticipated Canadian Premiere of THE VOID, Jeremy Gillespie and Steven Kostanski’s follow-up to their previous cult sensations MANBORG and FATHER’S DAY. 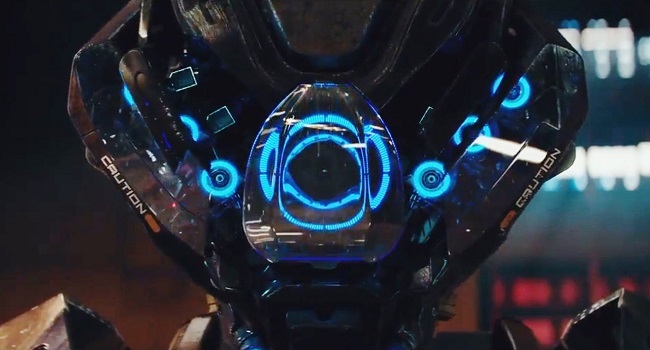 With a throwback to classic horror master John Carpenter, THE VOID brilliantly combines a tense siege movie with a terrifying creature feature. Sheriff Carter picked the wrong night to pay a visit to the remotely located local hospital. Outside, a gang of white sheeted creeps surrounds the place, threatening the lives of anyone that wants to leave. Inside, a deadly sinister and multi-tentacled life form is on the loose. Featuring an intense atmosphere of terror plus outstanding practical creature effects, THE VOID is a dark horrifying experience you won’t want to miss! THE WALKING DEAD meets JURASSIC PARK in THE REZORT, the latest British crowdpleaser for zombie action fans! In the near future, after a zombie apocalypse wipes out one fifth of the planet’s population, the only undead left are kept contained on a remote island. There, the wealthy can pay to come and go on Zombie Safaris and hunt the undead for sport. But after the zombie containment systems fail on the island, it’s time for the vacationers to see how long they can survive when the tables turn and the living become the hunted! 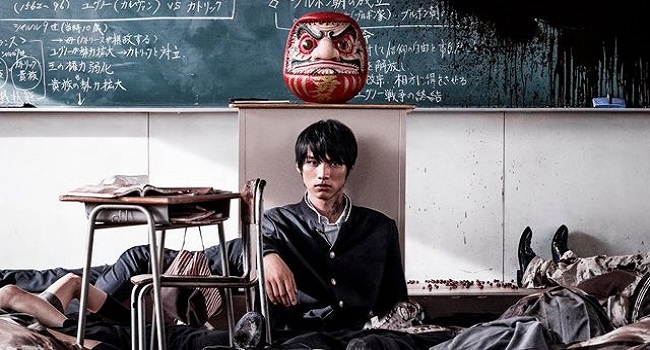 Prepare to be creeped out by the new serial killer chiller from acclaimed Japanese horror maestro Kiyoshi Kurosawa (CURE, PULSE) that’s been picking up awards on the festival circuit. In this suffocatingly tense tale, a number of unsolved murder cases makes an ex-cop and his anxious wife begin to direct their suspicions towards a creepy, mysterious neighbour, who sets their nerves on edge! Natasha Lyonne (ORANGE IS THE NEW BLACK) stars in the Sundance hit horror comedy about a hard partying girl dealing with increasingly bizarre symptoms coming from an unexplainable pregnancy. A fantastic supporting cast along for the freaky ride include Chloe Sevigny, Meg Tilly and Mark Webber. Emmy-Award winning VFX artist Steve Gomez draws inspiration from sci-fi action classics THE TERMINATOR, ALIENS, PREDATOR and WESTWORLD with his thrilling feature debut. An elite army unit is dropped off on a remote island to train against some mysterious, new weaponized machines. Soon the soldiers discover to their horror that their metal foes have evolved artificial intelligence to the point that they can now out smart – and out kill – the humans! Picking up multiple awards on the festival circuit since its Sundance hit debut, THE LURE is a one-of-a-kind sensation, a horror musical from Poland featuring man-eating mermaids! When a sleazy promoter hires two strange young girls to sing at his nightclub, he doesn’t count on their ability to also turn into carnivorous blood-thirsty fish! Unfortunately no full trailer available to show you how awesome this film is. Just trust us when we say that THE LURE is a crowd-pleasing unique cinematic experience featuring some great bloody kills interspersed between stunning musical numbers and is simply not to be missed! Richard Bates Jr’s (EXCISION, SUBURBAN GOTHIC) latest Sundance hit is a twisted, dark, funny suburban horror piece about a young man Owen (ENTOURAGE’s Adrian Grenier) who finally agrees to take his longtime girlfriend for a weekend trip to meet his estranged family. With his parents having died in a fire, the visitors find themselves sharing a roof with Owen’s terrifying grandmother and his creepy sister who lives like a recluse in the attic. It’s not long before they also uncover a chilling family secret that involves a web of lies, deception and murder! 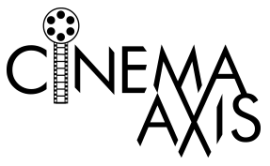 Fans can also look forward to two fantastic showcases of cutting edge genre short films at this year’s festival!